PD9 Strayhorn CD HITS BIG! 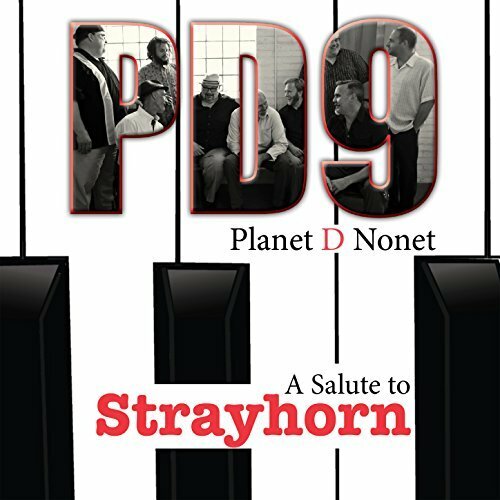 The New Planet D Nonet CD, A Salute to Strayhorn was released on the Detroit Music Factory label on 11/5, so far it has been played on OVER 175 stations in the US & Canada. Up from #48 to #25 JazzWeek this week! The latest release from Detroit's Planet D Nonet is a tribute to one of the 20th Century's jazz and swing greats. You can listen below to "Just a-Sittin' and a-Rockin'," drawn from the group's forthcoming album "A Salute to Strayhorn," in this exclusive Freep First Spin premiere. Composer-arranger Billy Strayhorn (1915-67) was a major figure in American music, best known during his life and for decades after his death as Duke Ellington’s collaborator. But in the last 20 years, thanks to pioneering biographical and musicological scholarship and recordings from a variety of sources, Strayhorn’s reputation has finally managed to escape Ellington’s shadow. Detroit’s Planet D Nonet, a vibrant little-big band with an expansive repertoire, explores the full-breadth of the terrain on “A Salute to Strayhorn" (Detroit Music Factory). Included are such remarkable Strayhorn masterpieces as “Smada” and “A Flower Is a Lovesome Thing,” classic collaborations with Ellington like “Such Sweet Thunder” and a few more popular songs like “My Little Brown Book” (Stayhorn), “Satin Doll” and “Just a-Sittin’ and a-Rockin’” (both Ellington and Strayhorn). Led together by drummer RJ Spangler and trumpeter James O’Donnell, the band plays this music with affection, balancing the spirit of the past with the pop of the present tense. jeffdunn.com - Websites for Jazz Artists and more.